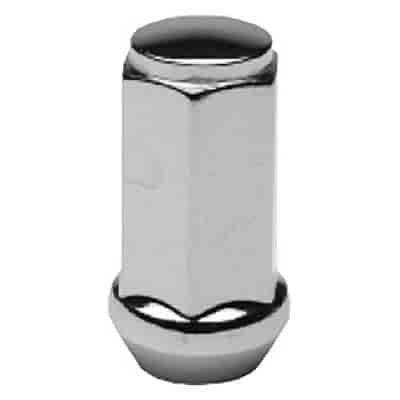 Cragar Acorn/Conical Seat Lug Nuts 1/2"
The Wheel Group 5450-4 - Closed End Bulge Conical Lug Nuts Thread: 1/2"
27804B-4 is rated 3.7 out of 5 by 3. Rated 5 out of 5 by Mrderek from They hold my wheels on my truck! Extra long to avoid damage to wheels when installing/removing and they work. What more can I say? Rated 1 out of 5 by Cricket from Cragar Lug Nuts I will be returning them as the capped end of one is unattached. That causes me concern about their products and now I am wondering if Cragar wheels were a smart buy.